Sometimes muted, subdued colours have an immense effect. The combination of navy, grey and white looks manly and clear. The outfit is particularly suitable for wearing in cloudy weather. Check this men's style look from Mali Karakurt Instagram. Mali has more than 175K followers on his Instagram profile – @malikarakurt. A jumper is surely the best garment to wear in more or less fresh weather. It may be a pullover or cardigan, the latter being open at the front. Yet, some don't reckon a cardigan among types of jumper. 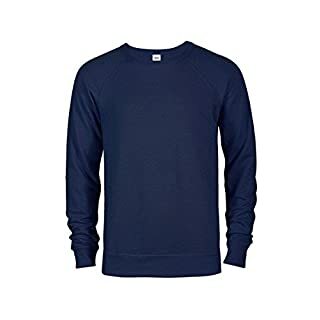 The advantage of jumpers is that they can be worn in different types of weather depending on fabrics they are made of. Traditionally it was wool, but now they tend to be made of synthetic fibers, cotton, and combinations of both. In our case it's certainly lightweight fabrics to wear in spring or autumn. To fit our look it is best to be blue or navy. It looks simple and subdued, yet produces very favourable effect. 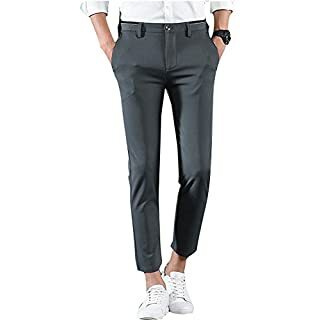 Trousers are an article of male clothing that spans an immensely broad range of styles to be worn in various situations and to fit manifold looks. They definitely look smart when combined with both casual and formal clothing. The variants of fabrics they are made of are numerous, the most common among them being cotton and linen as far as lightweight fabrics are concerned. Grey trousers and blue/navy jumper will match perfectly. Sneakers are known to be a variant of shoes that combine both convenience and style. 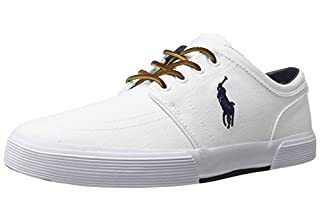 What's more, there's a wide range of colours and styles to match this type of shoes. The trendiest colour of sneakers has always been white. Such sneakers will perfectly fit your look and produce an amazing effect. A stylish belt is a necessary article of clothing for this outfit. It's worn not only to support trousers, but also to add some solidity and elegance. 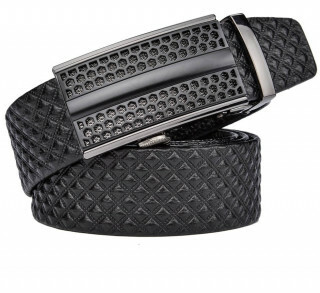 You can choose between black and dark grey belt – either option fits splendidly a blue or navy jumper and grey trousers. Be sure to get genuine leather. Now that we've finished with items of clothing, let's proceed to accessories. 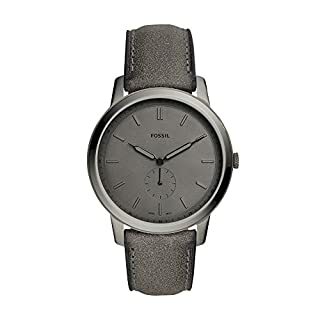 A watch with grey strap will be an excellent addition to append the look. A grey strap gives the best fit; this watch and the rest of the look are certainly a good match. 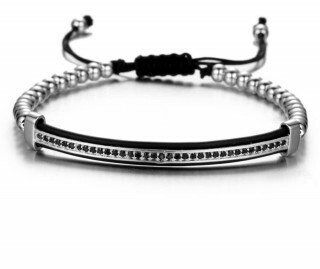 The look can be completed with a fine steel strap bracelet to add some elegance to your simple yet stylish outfit. You should wear it on the other hand so the bracelet and the watch can conjoin smoothly.